In this in-depth tutorial, we’re going to take a look at compositing some 3D objects into our shot. We’ll be using some 3D text in this case as a lot of you have requested a tutorial on this. We’re going to be covering a lot of Cineware and Cinema 4D stuff including object buffers, multi passes, mattes, shadows, and much more. We’ll also take a look at how to blend our 3D stuff into our shots and do some color correction/grading to match our scene. You can download the Cinema 4D Exporter plugin if you’re not using After Effects CC to export camera data, nulls, lights, and more. One of the hardest parts is aligning and setting up your ground plane and perspective right. By selecting ‘Set Ground Plane and Origin’ in AE, your Cinema 4D project will have a matching ground plane and origin that will make your life a lot easier. In the tutorial, I could’ve selected better track points to set the ground plane so the perspective ground was a bit off. Be sure your ground plane lines up well with the surface before you start adding stuff in. In CS6, I don’t believe there is an option for ‘Set Ground Plane and Origin’. Still make the solid and 3D camera to bring into C4D, but to get your object in the right spot, make your 3D text or object a child of the solid we created in AE and brought into C4D. Then in the 3D text/object, go to the Coordinates and zero position and rotation out. Since your 3D text/object is a child of your solid with no additional position/rotation values, it should be in the same place as your solid. You may need to make a few slight modifications to the coordinates after. Play around with the lighting and materials more, it heavily influences the type of shadows you get. The closer you get the lighting stuff right, the easier it is in After Effects. Also, don’t forget to soften the edges of your 3D objects a bit with Fast Blur as 3D renders usually end up sharper than the footage. You can also try to apply and match the grain of your footage to your 3D objects. The plane we used was only to catch shadows on the ground from the light and help generate some Ambient Occlusion on the ground and text. We hid it by cutting it out using the Object Buffer as a matte. Don’t forget to play around with depth of field if your shot has any. You can tweak your depth pass by adding an exposure effect and shifting the black/white values, though you may need to precompose everything to flatten the depth pass layer. If you’re not using After Effects CC and Cineware, you’ll have to export your camera data with the Cinema 4D Exporter plugin. To composite, you’ll need to actually render your project out with multiple multi passes and bring them into After Effects for compositing. 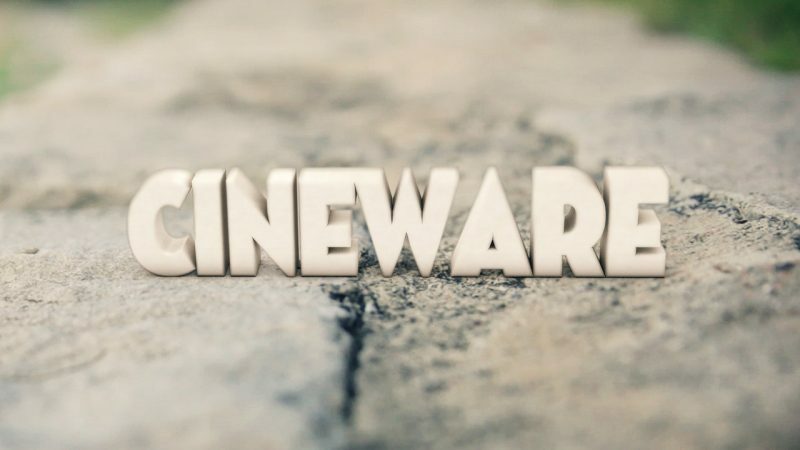 Of course, if you make any changes, you’ll have to re-render them out again, which is why Cineware is so powerful in terms of timesaving and experimentation. Hopefully you guys got a rough idea on how to use Cineware to composite stuff into your shots. If you create anything cool, feel free to leave them down below with any of your questions or feedback, I love seeing them! As always, have fun and place a bunch of stuff in your scene! This is a very good tutorial about have a crack with tracking & CGI integration in AE CC. Thx for that. Anytime, glad you learned something and thanks for your feedback and support! There is no “Set Ground Plane and Origin” in CS6 that I know of. Create the solid layer, then in Cinema 4D, make your 3D text a child of your solid layer. Then zero out all the position & rotation keyframes. Great video. Thanks for the very useful content. Pretty cool ! but cineware its VERY VERY long ! adobe please make some upgrade to this !We need more speed ! It may not be fast but I still prefer Element over Cineware just so fast! My camera view is way different when exporting and opening in Cineware. Saving and viewing the 3D object in After Effects results in a small and upside down object. I’ve tried various tutorials on this matter, but can’t seem to get it right. Could this be some sort of setting I need to adjust? or perhaps a windows thing?